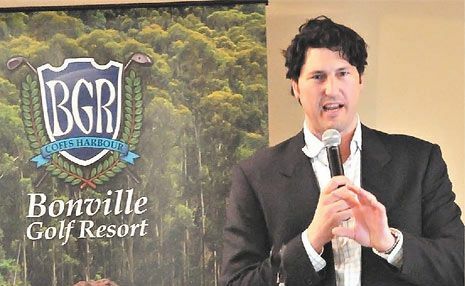 WALLABY legend John Eales was one of the speakers that kept guests entertained all afternoon yesterday at the third Bonville Golf Resort Legends Lunch. Appearing alongside former Australian cricket captain Mark Taylor and Sunrise sports presenter Mark Beretta, the trio held more than 150 lunchgoers spellbound with tales of their former glories. Eales had the crowd in stitches with his take on sponsorship from XXXX and the touring British Lions while Taylor amused all with his insights on fellow cricket legends Shane Warne and Merv Hughes. With such legends at the lectern it was always on the cards that the event would run overtime yet few seemed to mind as inquiries for the next Legends Lunch in September featuring Marjorie Jackson were already being made.